You are currently viewing Archived reports for the week of 21 September-27 September 2016. 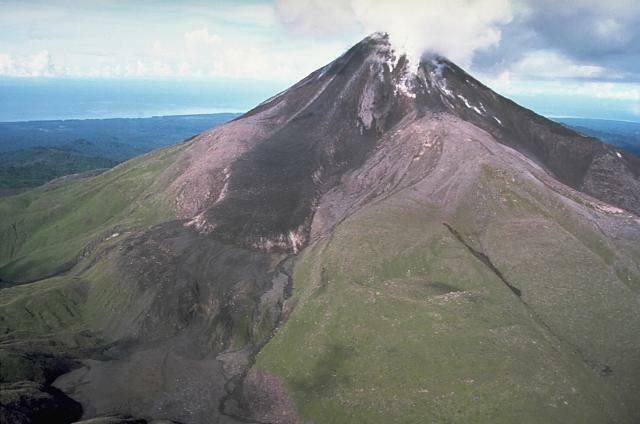 KVERT reported that a Strombolian eruption at Klyuchevskoy continued during 16-23 September. Volcanic bombs that were ejected above the summit crater and the cinder cone landed in the Apakhonchich drainage on the E flank. A lava flow traveled down the Apakhonchich drainage and also down the SW flank. Satellite images showed a large and bright daily thermal anomaly at the volcano. During 20-22 September explosions generated ash plumes that rose as high as 7 km (23,000 ft) a.s.l. and drifted 100 km SW, E, and SE. The Aviation Color Code remained at Orange. PVMBG reported that at 1445 on 27 September a small-scale explosive eruption at Rinjani's Barujari Crater produced an ash plume rose that rose 2 km above the crater and drifted WSW. 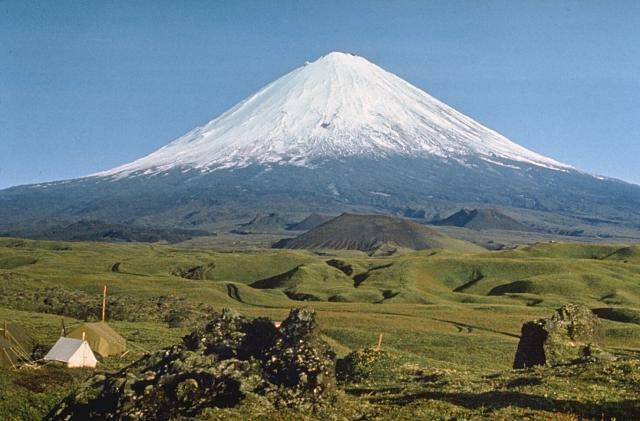 The eruption was preceded by an increase in seismicity, but the number and amplitude of the events were insignificant. The Alert Level was raised to 2 (on a scale of 1-4), and the public was warned not to approach the crater within a 3-km radius. PVMBG reported that during 1 June-25 September brownish gray plumes from Tengger Caldera's Bromo cone rose as high as 1.2 km above the crater. 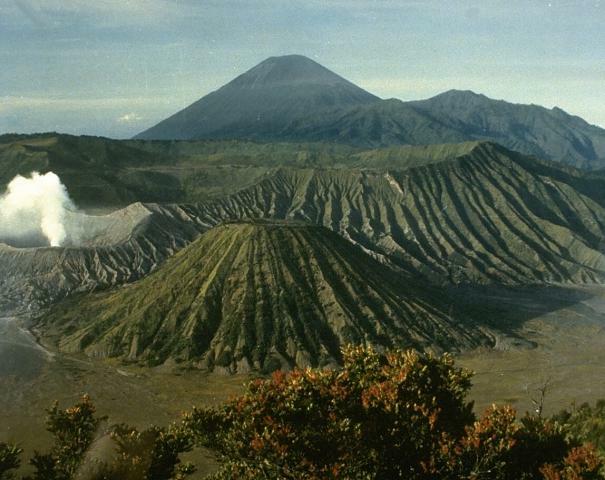 A sulfur odor was noted at the Bromo observation post, thunderous noises sometimes vibrated the post doors, and occasionally crater incandescence was observed. 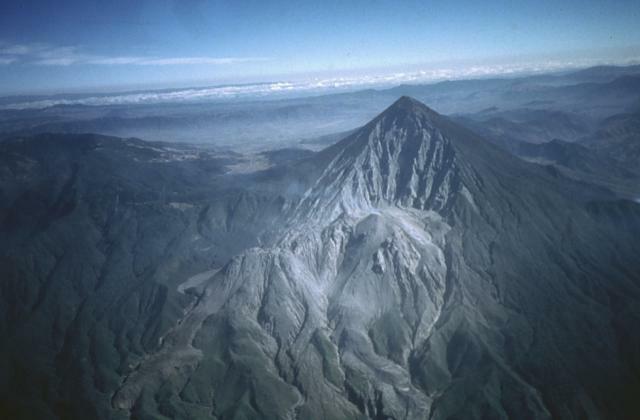 Seismic activity was dominated by shallow volcanic earthquakes and tremor. The deformation network measured inflation. Based on analyses of satellite images and information from PVMBG, the Darwin VAAC reported that during 22-23 September ash plumes rose to an altitude of 3 km (10,000 ft) a.s.l. 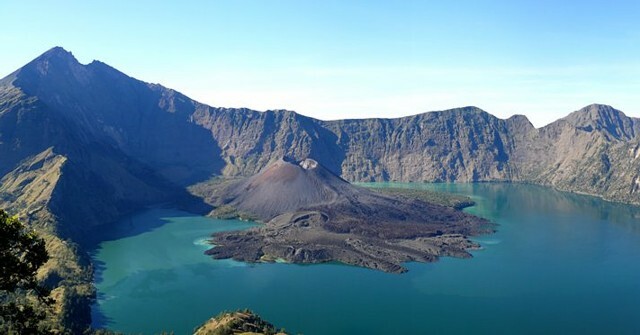 (720 m above the crater) and drifted almost 40 km SW. On 26 September the Alert Level was raised to 3 (on a scale of 1-4); residents and visitors were reminded not to approach the crater within a radius of 2.5 km. 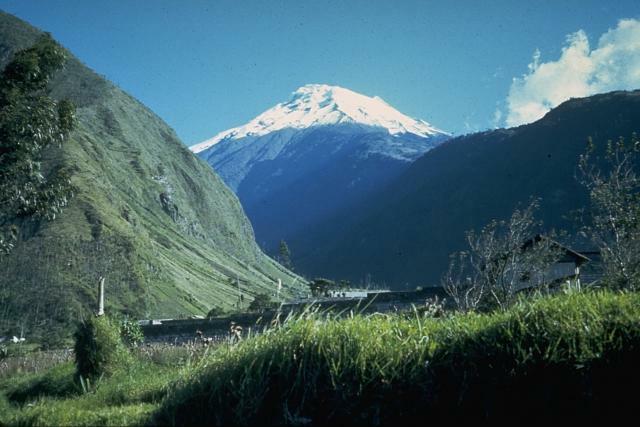 IG reported that Tungurahua's seismic network detected a significant increase in the number of long-period (LP) earthquakes on 12 September and small episodes of tremor beginning on 16 September. A swarm of 24 LP events were detected during 0408-0424 on 18 September. Starting at 1400 on 24 September the number of LP events again increased. Gas emissions were low, and together with the increased seismicity, possibly indicates a blocked conduit. 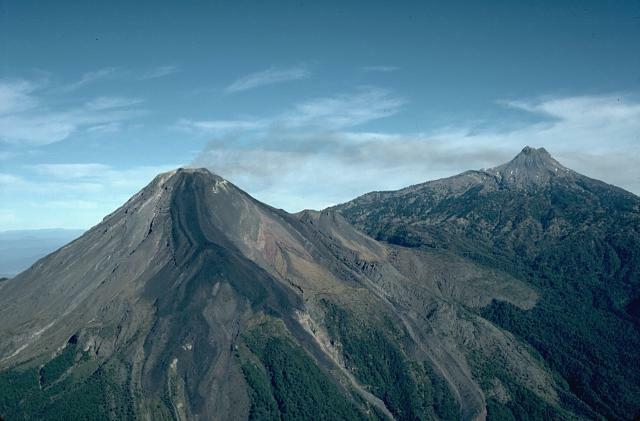 IG noted that a possible large-scale eruption may happen within hours to days. In response, the Secretaría de Gestión de Riesgos (SGR) announced that the Alert Level was raised from Yellow to Orange (the second highest on a 4-color scale) on 26 September. 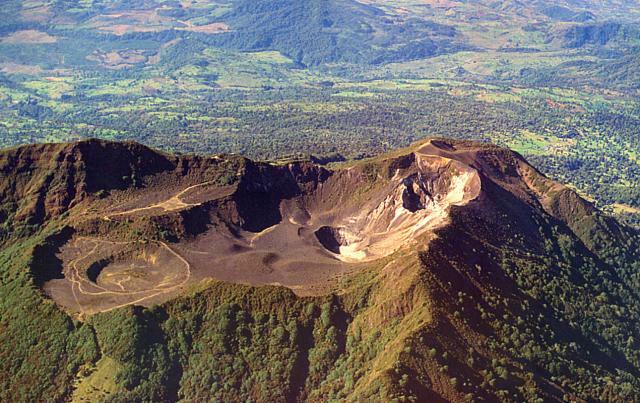 OVSICORI-UNA reported that during 21-22 September multiple eruptive episodes at Turrialba generated ash, gas, and steam emissions that generally rose as high as 700 m above the crater and drifted N, NW, W, and SW. Ashfall and a sulfur odor were reported in some areas of Valle Central. An energetic episode that began at 0320 on 22 September produced an ash plume that rose 2 km and drifted WSW. Another episode accompanied by tremor which began at 1345 generated an ash plume that rose 1 km. Surficial activity significantly decreased on 23 September; a few short episodes were detected but weather clouds prevented observations. Seismicity remained high, characterized by very-long-period events. Seismicity decreased on 24 September and activity was very low through the afternoon of 25 September; a few minor eruptions were detected. 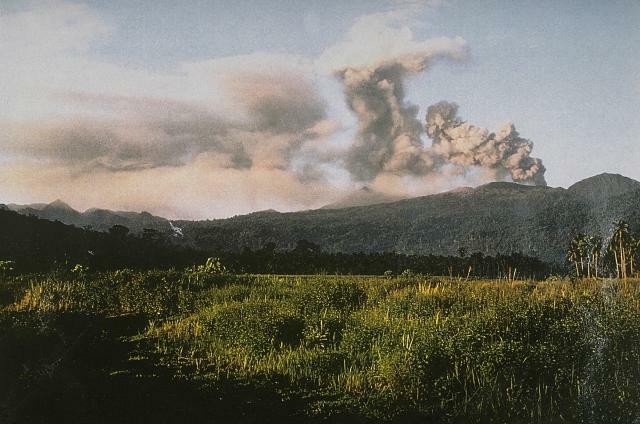 At 2110 on 25 September an eruption was detected seismically, but cloud cover blocked views. Ashfall and a sulfur odor was reported in Valle Central communities, including San José and Heredia. An eruption at 1225 on 26 September produced an ash plume that rose 1 km and drifted NW. Cloud cover again prevented visual observations of activity that began at 1242, and lasted for four hours. Based on the amplitude of the seismic signal, webcam images, and observations from scientists in the field, ash plumes were estimated to rise as high as 2 km. Continuous passive emissions continued to rise as high as 2 km until 1000 on 27 September; between 1000 and 1242 ash plumes rose 300-500 m.
Based on analyses of satellite imagery and model data, the Darwin VAAC reported that on 27 September ash plumes from Bagana rose to an altitude of 2.1 km (7,000 ft) a.s.l. and drifted 85-95 km SW and WSW. Based on webcam and satellite images, and information from the Mexico City MWO, the Washington VAAC reported that on 25 September an ash emission from Colima rose to an altitude of 5.2 km (17,000 ft) a.s.l. and drifted NNE. Based on analyses of satellite imagery and model data, the Darwin VAAC reported that during 21-27 September ash plumes from Dukono rose to altitudes of 2.4-3 km (8,000-10,000 ft) a.s.l. and, on some days, drifted as far as 160 km in multiple directions. INSIVUMEH reported that during 23-26 September lava fountains rose as high as 200 m above Fuego’s crater rim, and lava flows traveled 3.5 km SE in the Las Lajas drainage. Explosions occurring at a rate of 3-4 per hour produced ash plumes that rose 450-850 m and drifted 8-12 km E, S, SW, and W. On 26 September a 10-m-wide and 1-m-deep lahar, triggered by heavy rain in the area, descended the Santa Teresa (W) drainage, a tributary of the Pantaleón river. The lahar carried blocks 50 cm in diameter, branches, and tree trunks. Moderate to large explosions generated ash plumes that rose 1.2 km and drifted 20 km W and SW. Lava fountains rose 200-300 m and fed two lava flows; the first traveled 1.5 km down the Las Lajas drainage and the second traveled 1.8 km down the Santa Teresa drainage. Avalanches originated from a degassing fissure on the S flank. Ashfall was reported in areas on the W and SW flank, including the Palo Verde finca, Sangre de Cristo (8 km WSW), and Yepocapa (8 km NW). During 21-27 September HVO reported that the lava lake continued to rise and fall, circulate, and spatter in Kilauea’s Overlook vent. 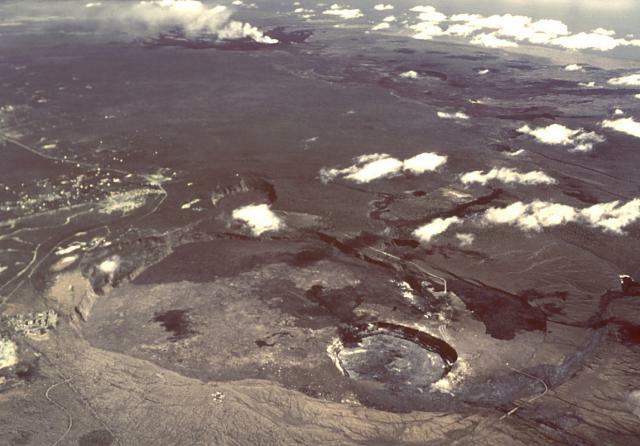 The lake level rose as high as 10 m below the Halema?uma?u floor, and was sometimes visible from the Jaggar Museum (NW rim of Kilauea Caldera); lava fountains along the edge of the lake were visible from the museum on 26 September. Webcams recorded incandescence from long-active sources within Pu'u 'O'o Crater. The 61G lava flow, originating from a vent on Pu'u 'O'o Crater's E flank, continued to enter the ocean at multiple areas near Kamokuna. Scattered breakouts were active 2 km inland from the coast. 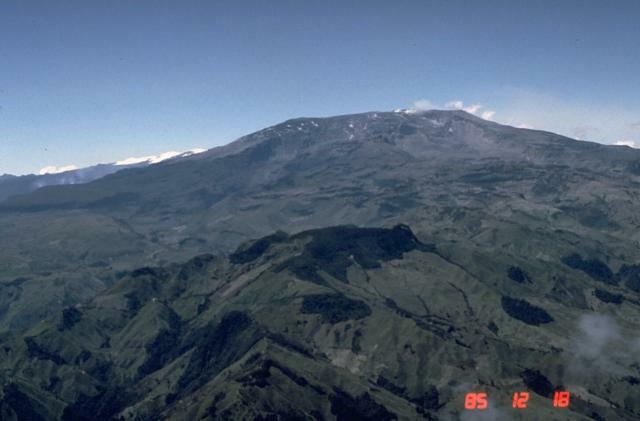 Servicio Geológico Colombiano’s (SGC) Observatorio Vulcanológico y Sismológico de Manizales reported that during 20-26 September seismicity at Nevado del Ruiz was characterized by an increased number of earthquakes and a slight decrease in the seismic energy compared to the previous week. Significant amounts of water vapor and gas rose from the crater. Gas, steam, and ash plumes rose 700 m above the crater on 21 September and drifted NW. The Alert Level remained at III (Yellow; the second lowest level on a four-color scale). 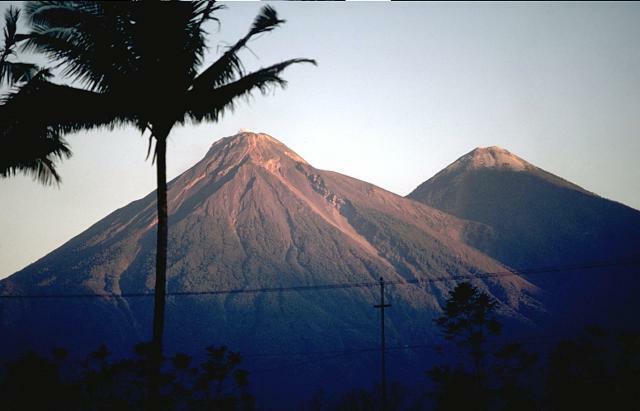 INSIVUMEH reported that a strong explosion at 0345 on 25 September generated an ash plume that rose 2 km above Santa María's Santiaguito lava-dome complex and drifted W and SW. An explosion the next morning generated an ash plume that rose 1 km and drifted 15 km SW. A moderate explosion was detected by the seismic network at 0436 on 27 September; inclement weather prevented visual observations of the crater. 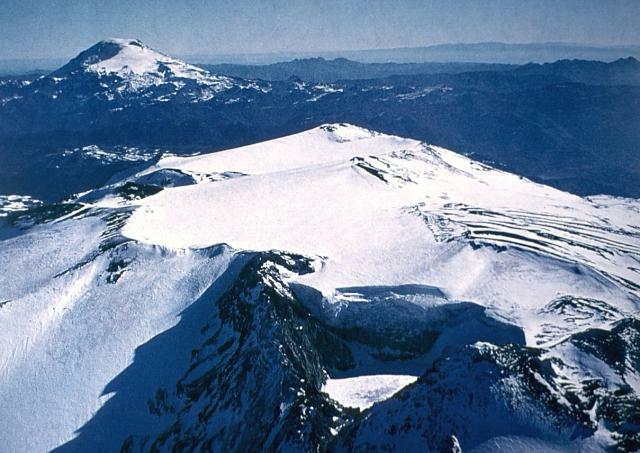 KVERT reported that during 16-23 September lava-dome extrusion onto Sheveluch’s N flank was accompanied by strong fumarolic activity, dome incandescence, ash explosions, and hot avalanches. Satellite images showed a daily thermal anomaly over the dome. 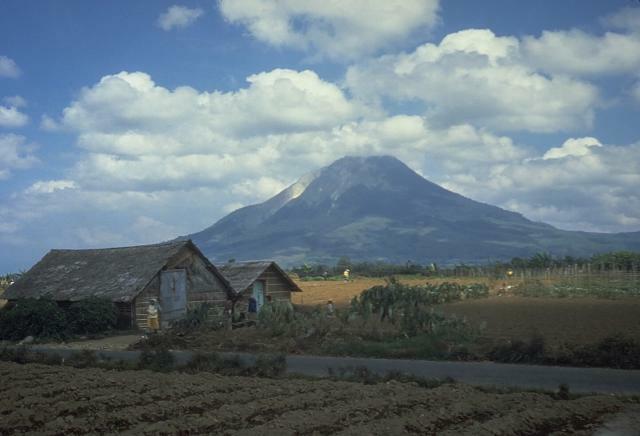 A moderate explosion on 18 September caused dome collapse and 10-km-long pyroclastic flows. 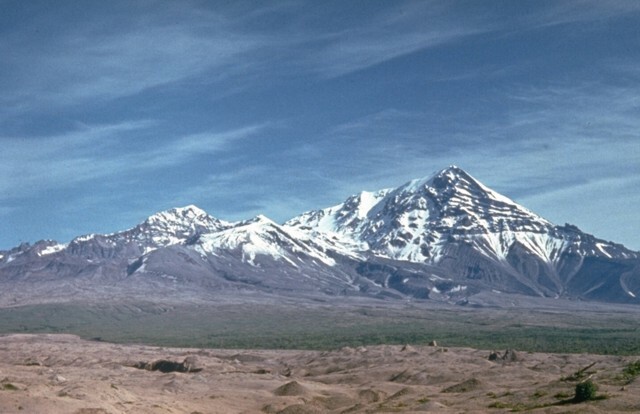 Pyroclastic-flow deposits were noted in the Baydarnaya River valley and in the central part of the S flank. The Aviation Color Code remained at Orange. Based on satellite images, the Jakarta MWO, and ground reports from PVMBG, the Darwin VAAC reported that during 23-25 September ash plumes from Sinabung rose to altitudes of 3.6-4.2 km (12,000-14,000 ft) a.s.l. and drifted E, ESE, and SE.